The Re-enforcer Andrew Anderson is one of the most recognizable stars to ever set foot inside the ring of Keystone. 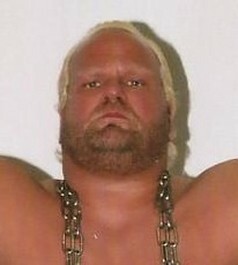 Anderson is a former multi-time ECPW World Champion and has wrestled some of the most well-known stars in the wrestling world. He gained success in Keystone but opted to return to the ECPW main territory to showcase his talent. he has fought legends like Jim Duggen, Tito Santana, Demolition Ax, Brutus Beefcake, Tony Atlas, and the late Andrew "Test" Martin. Anderson also co-starred in the Award Winning Film the Wrestler along side Mickey Rourke.